THE BOOK OF PHERYLLT edited by Joshua Free is a realization of legendary proportions, delivering the virtually impossible—a complete collection of esoteric Pheryllt Druid fragments scattered across history into a single coherent source, collected from the popular underground trilogy from Joshua Free, and now accessible to all modern Druidic practitioners for the first time ever! Published in collaboration with Kima Global Books, the literary home of Douglas Monroe’s conclusion to the ‘Merlyn Trilogy’—The Deepteachings of Merlyn, (which also included a brief ‘Interlogue’ written by Joshua Free). Come drink deeply from the wisdom of authentic Celtic Druidism brewed at the Cauldron of Awen, wherein lies unknown depths and heights of true mystic initiation. Travel far along hidden wooden paths of the Enchanted Forest—using The Book of Pheryllt as your guide—and discover the ancient storehouse of Nature’s Mysteries from the original Druidic database of universal knowledge. Although best known for his work connected to the modern MARDUKITE “New Thought” movement, Joshua Free has been involved with “practical Earth magic” since he was 12, starting with his first initiation into Pheryllt Druidism in the mid-1990’s as “Merlyn Stone.” At that time, he was once the youngest initiate ever of the Order of Bards, Ovates & Druids (OBOD) in England, before leaving to exclusively pursue a Druidic apprenticeship with Douglas Monroe, and is now “Bard of the Twelfth Chair” at New Forest Centre for Magickal Studies. THE BOOK OF PHERYLLT : A Complete Druid Source Book by Joshua Free is an epic literary compilation drawing from the underground ‘Pheryllt Trilogy’ of volumes edited by Joshua Free for the Mardukites (from 2014 through 2018), collected together in one economical anthology for the first time ever. Globally released on Yule—Winter Solstice, December 22, 2018. The Complete Source of Authentic Pheryllt Druidism. The Book of Pheryllt edited by Joshua Free is a realization of legendary proportions, delivering the virtually impossible—a complete collection of esoteric Pheryllt fragments scattered across history into a single coherent source, now accessible to all modern Druid practitioners for the first time ever! For decades the public has sought access to teachings based on the famous and rare never-before-published 16th-century Welsh manuscript entitled The Book of Pheryllt, and now what the world has been waiting for has arrived! Come drink deeply from the wisdom of authentic Celtic Druidism brewed at the Cauldron of Awen, wherein lies unknown depths and heights of true mystic initiation. Travel far along hidden wooded paths of the Enchanted Forest—using The Book of Pheryllt as your guide—and discover the ancient storehouse of Nature’s Mysteries from the original Druidic database of universal knowledge. FOR TEN YEARS the “Mardukite Truth Seeker Press” has delivered an aggressively refined methodology for the new ‘NexGen’ breed of eclectic esoteric seekers as “Mardukite Babylonians” — reviving the banner name of the first spiritual and political rebels in history, those who rose up against the Enlilite Sumerians in seemingly prehistoric Babylon, but in fact they are the times that literally defined history, the oldest true writing system (cuneiform) and systems of human civilization that have grown and advanced since then but are very much present among us today. Modern “Mardukite Babylonians” study the nature of these things among many other aspects of magic, mysticism and metaphysics (beyond the realm of Mesopotamia and Ancient Near East) with the MARDUKITE.COM and NECROGATE.COM sites dedicated to publications of “Mardukite Truth Seeker Press” celebrating the incredible underground literary work and prolific prodigious contributions of Joshua Free (also known as “Merlyn Stone” in the 1990’s). Since childhood, Joshua Free has dedicated his entire life to the archetype of legendary books and tomes of magick – those such as the Necronomicon and Book of Pheryllt. After being received into the library and self-made traditions of hundreds and even thousands of mystical, metaphysical and “New Age” practitioners since the mid-1990’s – writing under the name of “Merlyn Stone” for such popular underground publications as THE SORCERER’S HANDBOOK (now available in a commemorative 20th Anniversary) – Joshua Free is most famous for the inception of the modern “Mardukite” movement with the release of ARCANUM: THE GREAT MAGICAL ARCANUM on the Summer Solstice (June 21) 2008 (now observing its 10th Anniversary). 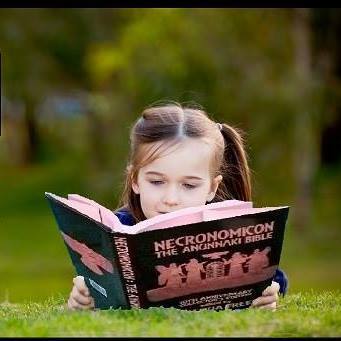 Coinciding with the 10th Anniversary of the “Mardukite” tradition is the early-release of the 10th Anniversary (Seventh Edition) of Joshua Free’s complete NECRONOMICON ANUNNAKI BIBLE tablet anthology – inspired by the aura of what it is named for, but wholly based in historical records that completed work that former manifestations only seemed to allude to (in the Mesopotamian context). For example, previous serious practitioners realized the Simon recension was incomplete at best, alluding not to the Enlilite traditions common to the “Sumerians,” but rather to the “Mardukite” tradition raised by ancient Babylonians in honor of Marduk, firstborn son of Enki, ruler of men and gods from his shrine-temple ziggurat in Babylon, the Tower of Babel. The range of work by “Mardukite Chamberlains” leading up to the NECRONOMICON ANUNNAKI BIBLE included lengthy discourses with other researchers, unceasing hours in abandoned corners of old libraries and museums, participation in sessions with other practicing occultists and even visits to “artifact rooms” and “tablet collections” at the University of Pennsylvania and Chicago among others, including the library and museum at Rosicrucian Park. The resulting culmination became nothing like anyone expected: an authentic and verifiable vision for the “Mesopotamian Necronomicon” salvaged from the shifting desert sands of time in the Middle East and Egypt, unparalleled by anything already available to Truth Seekers. It appeared to be the most complete collection of ancient writings on the planet that formed the very foundation of all the human traditions and beliefs that would emerge thereafter. 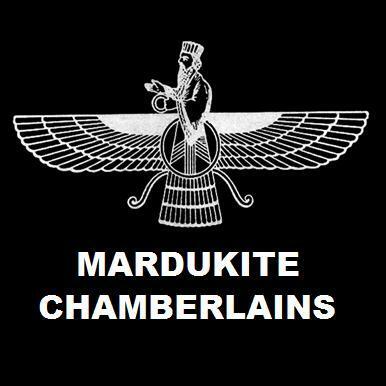 “Mardukite Truth Seeker Press” spent 2009 through 2012 dedicated to perfection and enhancement of NECRONOMICON ANUNNAKI BIBLE materials, newly revised and updated for the 10th Anniversary Seventh Edition to be the most accessible, complete and economical edition in the history of the modern “Mardukite” legacy. Although now best known for his work on Sumerians, the Anunnaki and Babylonian Tradition for the “Mardukites,“ work and involvement by Joshua Free with the Secret Dragon (Elven) Legacy and modern Pheryllt Druid Tradition is also paramount. In addition to his own collected works anthology — THE DRUID COMPLEAT comprised of “Book of Elven-Faerie,” “Draconomicon” and “Book of Druidry” — his writing has even been used within the third volume completing the classic bestselling ‘Merlyn Trilogy’ by Douglas Monroe: THE DEEPTEACHINGS OF MERLYN published by Kima Global Books in 2011. Kima has also agreed to publish Joshua Free’s forthcoming BOOK OF PHERYLLT ‘Druid Source Book’ anthology later this year, further making our Anniversary year truly a pivotal year indeed! In ancient Keltia, the Druid Order consisted of learned ones, those educated in Bardic Arts: cosmology and spirituality, natural-native history and geology, legendary history of heroes and mythology, healing and botanical medicine, astrononmy and astronology, and of course ‘magic’ – all of which are hidden in lines of Bardic verse and the researches of those who study them. As primary preservers of Celtic and Druid Mysteries, it is no wonder that Bardic Druids were considered the transmitter or catalyst of -awen- the essence, Divine Spark or spirit of inspiration that the Greeks termed ‘gnosis’. It is to the ‘ebb and flow’ of the -awen field- that the magical and poetic genius of the Bard is attributed. Preservation of ancient knowledge is key among all elite orders of the ages. This Ancient Mystery School is timeless and spans all places on Earth. Past mystical cultures often relied on elite orders of scribe-priests and poet-magicians to bridge ancestral roots and traditions with the future – orders rooted in ‘languages’, ‘communication’, and above all the written word. The poetic genius of “awen” – the Divine Spark of Creation – manifests throughout all creative arts and as the spirt of “prophecy,” an ability to observe experiences with a heightened awareness and communicate it in the World of Form. Druidism is, therefore, an echo of this “poetic genius,” an amalgamation of collected knowledge preserved by the ancient elite, including a mystical and scientific understanding of the world that eluded the perceptual range of ‘common’ folk. A unique metaphysical apprenticeship combining diverse facets of knowledge – from practical magic, to Welsh Bardic tradition, to Celtic history, or even foreign philosophies assimilated by the Druids – all appear in Douglas Monroe’s Merlyn Trilogy under a premise of being derived from the Book of Pheryllt (or Books of Fferyllt); a collective ‘body’ of Druidic wisdom also called the Body of the Dragon. As such, a wide array of sources and subjects were required to develop an allegorical facsimile (but legitimately authentic) manifestation of the Book of Pheryllt consistent with the mysterious manner in which Bards and Druids conceal and reveal the secret tradition. Considering the sheer variety of citations and scattered references in Monroe’s work, meeting justifiably high requirements and expectations for the ‘Body of the Dragon’ would require more than one volume to be complete and follow protocols – actually three volumes: a TRIAD interwoven as ONE. Many antiquated scholarly references to the “Books of Fferyllt” or the “Pheryllt” themselves may be found (included or paraphrased in the current Book of Pheryllt trilogy series facsmile). Whatever bits trickle down from classical literature and antiquarian druidism to satisfy a modern thirst for the ‘pheryllt paradigm’ have been collected together in one place – a sacred book once thirded and now made whole – forming a complete sourcebook of undefiled lore. Whatever name, guise, or title we might attribute to the ‘Body of the Dragon’ – and we have chosen PHERYLLT – this same lore (originally accessible to few) serves as basis for the majority of Celtic and neo-Druidic revival of the past few centuries; whether or not it has been given due credit as such. Several different cycles of important Celtic and Welsh literature and lore – Hanes Taliesin, Cad Goddeu, the Gwarchans, Cymric Triads, the books of Aneurin, Taliesin, Myrddin… – are all found in the Iolo Manuscripts including the Myvyrian Archaeology anthology and Barddas. In fact, we can essentially trace the abundant wealth of surviving Welsh MS. – including the Mabinogion – back to “Iolo Morganwg” (Edward Williams) and manuscripts ascribed to “Llywelyn Sion.” Where a thick scholarly aura accumulated from years of controversy may surround the ‘authenticity’ of some of these manuscripts, valid substitution shortages have bound the modern revival specifically to these available texts and the tradition gleaned from them. The Book of Pheryllt trilogy of volumes edited by Joshua Free (also collected together in one volume in the forthcoming “Pheryllt -or- Body of the Dragon” anthology to be released later this year) is the realization of a legendary tome collecting wisdom passed down from an equally legendary ‘priesthood’ known in the histories of the Druids as the PHERYLLT (pronounced FAIR-ee-llt or VAIR-ult) – those who resided in the ancient Snowdonian mountains of northern Wales. There, they inhabited an ‘ambrosial city’ named for its mysterious founder, PHARAON (FAR-ah-on), meaning ‘higher powers’ and possibly alluding to the ‘celestial’ authority of a “Pharaoh.” Perhaps it is the practice of “Druid Craft” to call down ‘higher powers’ to conjure inspiration and magic in the world – perhaps that is what Ceridwen is doing where Taliesin the Bard writes: – “She took to the crafts of the Books of Fferyllt to boil a cauldron of awen.” According to our modern ‘Neo-Pheryllt’ tradition, a manuscript known as the Book of Pheryllt exists from the 16th Century collection attributed to Llywelyn Sion of Glamorgan Wales. Along with its companion volume, Barddas, also purportedly by Llywelyn Sion, the manuscripts moved from the library of Owen Morgan (“Morian”) to the private collection of the Albion Lodge of the United Ancient Order of Druids in Oxford (an ancient stronghold of the Pheryllt Order noted by Ralph Waldo Emerson). With more than two active decades in the underground “New Age” and occult scene (known as “Merlyn Stone” in the 1990’s), over 20 unique arcane texts in print (not including collected anthologies), and now a decade spent as presiding director of the modern Mardukite movement – you may have already experienced some piece of the magical world of Joshua Free personally or more likely one of the many very publicly visible facets of culture and industry that he has influenced from behind the scenes. Having so adeptly remained in the underground for so many years, it is quite possible that you have never actually read one of these critically acclaimed esoteric and arcane underground bestselling classics by Joshua Free and there is no better time than now to reap the benefits of the experience. Many of the original beloved titles (from 1996–2008) now appear in a special economical anniversary collection available to the new generation of seekers and returning patrons alike. Joshua Free (also known as “Merlyn Stone” in the 1990’s) released many amazing resources for the modern occultist many years before his launch of the Mardukite organization (primarily emphasizing Mesopotamian studies). Starting with the SORCERER’S HANDBOOK and DRACONOMICON from the 1990’s and continuing with the BOOK OF DRUIDRY and BOOK OF ELVEN-FAERIE in (the earliest part of) the new millennium – thousands of copies of books by Joshua Free were in circulation before writing his magickal magnum opus to date, the infamous ARCANUM materials, first completed at age twenty-four! When the SORCERER’S HANDBOOK premiered in 1998, the first edition was printed from an old-fashioned typewriter. It was originally reproduced and bound by a (local) Denver Colorado copy-center until they decided to actually read it one day… then they refused serviced because they were afraid of the spiritual implications of having anything to do with it. Thus began a tradition of Joshua Free self-producing his own books long into his days of more commercial distribution. After circulating in the underground for a few months, a second edition was printed exclusively for members of the “Elven Fellowship Circle of Magick” and the “Order of the Crystal Dawn,” two interconnected underground occult organizations in Colorado using the text as a “Book of Shadows” in the late 1990’s. Although best known now for his work pertaining specifically to Sumerian and Babylonian paradigms (especially Anunnaki subjects), over twenty years ago, Joshua Free became active in another prominent underground movement – Pheryllt Druidism – a tradition he was initiated into at the age of twelve and remains active in today as a protege of Douglas Monroe. DRACONOMICON began as a notebook kept from the earliest periods of initiation when personal research led into all matters of “Dragons.” It has been revised, changed and enhanced four times prior to reaching its current state – marking nearly twenty years of neodruidic influence before inspiring the release of a separate “Pheryllt” series/trilogy of materials by Joshua Free (of which PHERYLLT I and PHERYLLT II have been released). Materials from Joshua Free’s original initiation notebooks (not necessarily specific to dragons) was released to the underground as THE BOOK OF DRUIDRY in 2001, forming a second part of the “Druid Compleat” series/trilogy of materials (also available as an anthology of the same title). The other title in this series, THE BOOK OF ELVEN-FAERE, is not only a masterpiece of Druidry and Celtic Magical Tradition in its own right – It also served as a basis of inspiration (along with materials from all the above mentioned titles) to begin the ARCANUM project and ultimately the inception of the Mardukite movement, publicly solidified in 2008 and rooted in these works before the establishment of the widely circulated ‘Mardukite Core‘ (presented as the “Necronomicon” series/cycle edited by Joshua Free). The SORCERER’S HANDBOOK OF MERLYN STONE returns for a special 20th Anniversary commemoration after this underground cult classic reached thousands of copies in circulation! …and as a fan-appreciation bonus, this deluxe edition is publicly available at the original 1998 retail price! This past year the Mardukite Research Organization underwent tremendous developments and transitions. What began with establishment of a new Marduk Temple and mobile office for the Mardukite Truth Seeker Press resulted with the much anticipated founding of a NEW BABYLON, the physical 5-acre off-grid HQ and desert preserve of the modern movement in San Luis Valley (Colorado) called the: Mardukite Babylon Ancient Astronomy Research Office. During the Summer 2016 through Summer 2017 (Mardukite Season), the mobile-RV Marduk Temple and its guardians made several journeys and social invasions, including the Bonneville Salt Flats (Utah), the Grotto of the Redemption (Iowa), Carhenge (Nebraska), Badlands National Park (South Dakota), Maquoketa Caves (Iowa), the Renaissance Festival (Colorado), Garden of the Gods (Colorado) and an extended stay at Clear Creek RV Park (Golden, Colorado) while ongoing construction on Mardukite Babylon commenced. Only two of the original Babylon Guardian trinity remains after Sora Siix / “Mik” Mikka (Mikkayla) Streeper defected from the group this Summer. Meanwhile, Joshua Free (DJ Nabu) and DJ Kyra Kaos continue the legacy. After the RV conversion to ‘mobile office’, the Mardukite Truth Seeker Press continued its publishing schedule with second planned volume of the Books of Pheryllt trilogy: Pheryllt 2: Secrets of the Ogham: The 21 Leaves of Druid Wisdom from the Book of Ogma Sun-Face edited by Joshua Free. The Seeker is led into deep forests of woodland mystery wherein lies the Great Magical Arcanum, initiation to the Divine Secrets of the Universe hidden within the runes of twenty-one Keys – the OGHAM – the secret language and alphabet of the woods. Pheryllt 2 continues the epic tribute to the work of Douglas Monroe that Joshua Free began in 2014. The concluding volume is expected in 2018. Several years ago, final revisions of the Mardukite Core resulted in a series of matching ‘annual’ anthologies; annual, because each collected an annual Mardukite Season of material (usually three or more books) in one volume. Recent release of the second edition 2012 (Year-4) anthology, History of the Necronomicon: The Secret Evolution of Ancient Anunnaki Tradition in Modern Mardukite Magick of Sumerians & Babylonians edited by Joshua Free, brings the four-volume set full circle to its completion. The anthology includes three books, two of which were newly released as stand-alone anniversary editions this year as well: “Crossing to the Abyss” (Liber-555) and “Enochian Magic & Kabbalah” (Liber-K). Twenty years after the title first appeared for its prestigious underground release in 1996, Joshua Free’s “Druid Compleat“ is completely revised and expanded for this all-in-one volume, reformatted to include the complete text from the author’s personal Druidic trilogy. Two of the three books included in this anthology were newly released as stand-alone anniversary editions this year: “Druidry” and “Draconomicon.” The most comprehensive course ever developed specific to the magick, metaphysics and secret wisdom of Druids returns for its most economical edition ever! Rounding off a Mardukite Season of anthologies, the final literary works of Joshua Free, collected from “Vampyre’s Bible: Moroi Book of V” and the 2016 bestseller “Cybernomicon,” the complete rites and teachings of the Moroii ad Vitam Paramus now appear in the NEW anthology compilation: “Vampyre Magick: A Complete Guide for the Modern Vampire.” Prolific author and world renowned occult expert, Joshua Free, presents a unique revolutionary volume drawn from 20-years practical experience and a hereditary family tradition of Living Vampyres – the Moroii ad Vitam – an authentic spiritual system existing for centuries underground in Central Europe, emphasizing balance, transformation and our relationship with the Universe. In addition to the recent deluxe edition release of the Mardukite all-time bestseller SUMERIAN RELIGION BY JOSHUA FREE, the next forthcoming title to be published by the Mardukite Truth Seeker Press is the 10th Anniversary Revised Edition of the underground classic masterpiece ARCANUM BY JOSHUA FREE, with a limited edition clothbound hardcover pre-release expected SAMHAIN 2017 before next years paperback is available.